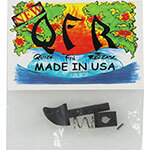 Pro Teck 9" Super Flex Safety Fins for SUPs and surfboards are designed to give you plenty of tracking and carving performance while standing up to the abuse of shallow water and greatly reducing the chance of blowing out your fin box. Plenty rigid for performance yet flexible enough prevent you from cutting yourself when you get nicked with your fin (never fun). 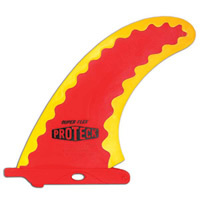 We put Pro Teck Super Flex Safety Fins on all of our demo, rental and class SUPs.